What to do in Burgundy? The Gold Coast, it is a bit the blazon of Burgundy and it’s like 2700 km of marked trails. 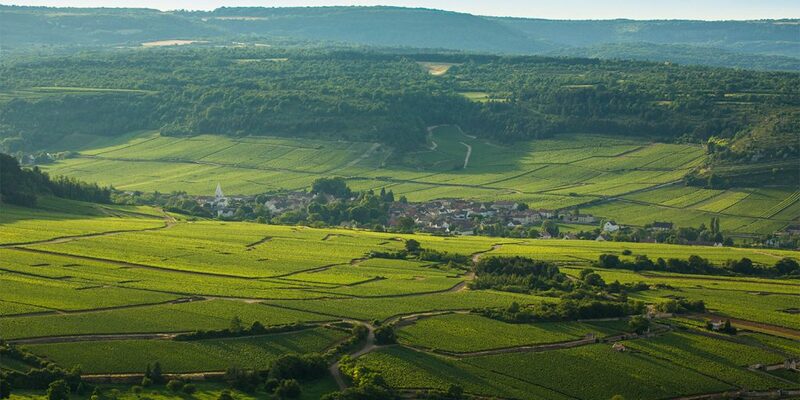 With a rich heritage thanks to its history, Burgundy’s geographic location and its geology are exceptional. We can admire extraordinary landscapes and hapiness for each step. On the contrary of what a lot of people think, the area is quite hilly with a high point (700m) and so an alternation of hills, plateau and valleys in its western part. Its eastern side is flatter with the plain of Bresse and Le Val de Saône. With these hills dotted with fir woods, specifically the Douglas which is propitious to cultivation in this area. Many of them find heir way in your living room for Christmas. There is no doubt that this part of Burgundy is the most sporty with drops more important than anywhere else. We are here on gnanitic soils which gives to the vegetation and to the habitat an outstanding character sometimes austere. 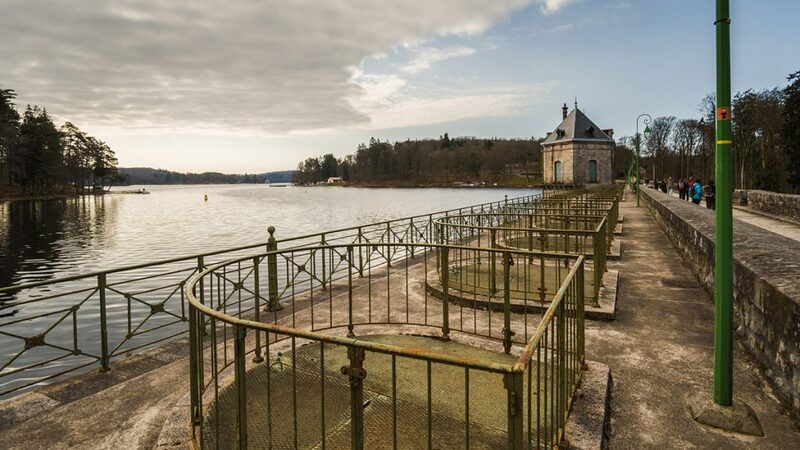 You’ll be able to walk through the GR13 trail or even around severals lakes that punctuate The Natural Regional Park of the Morvan. East of the Morvan, we arrive on hills and plateau and to the town called Vezelay. This hill houses at its top the famous basilic UNESCO listed cathedral. We are in the county of l’Yonne but very close from the Gold Coast. Not far away you can find townships as Flavigny sur Ozerain, Semur en Auxois or even Fontenay’s Abbey, which can be good places to walk in. The visit of the Museum Park of Alésia is anavoidable. Here the landscape is dotted with woods and plairies where the Charolaise cow (typical to the area) is widely produce. You can get a romantic and rural atmosphere, whith an habitat well preserved with a lot of beautiful white limestone constructions. Finally here comes the noble part of Burgundy Gold Coast, the one that makes dream all the wine lovers, La Côte de Nuits and La Côte de Beaune. The coast which looks eastward, but also the one that becomes golden in Autumn and which brings so much wealth ! It is where the best white and red wines of the world are produced but also are the most expensive because of their history and their soils now world recognized via The Climates at UNESCO. Indeed, its geology is complex on calcareous soil. But the relief is relatively cut on the North part in Côte de Nuits near The “Dijon Mountain “. 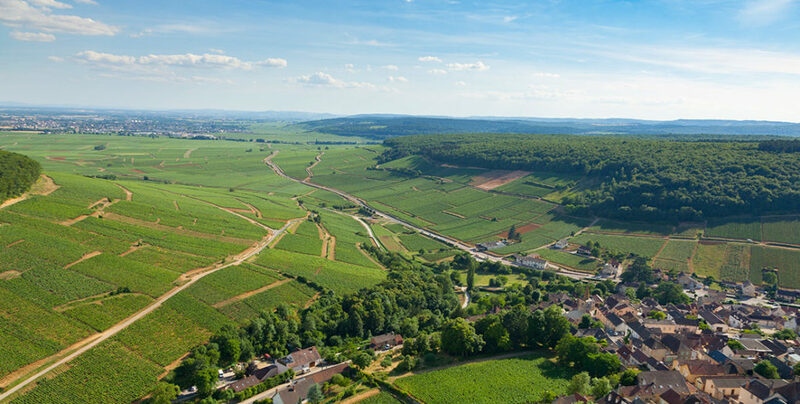 The Côte de Beaune is softer in its reliefs even though beautiful cliffs intersect certain valleys. The End of the World, Saint Romain Cliffts are one of the best examples. The hikers walk on the wine road and on small paths (GR7…) between boxwood, vineyard, prairies and oak forest. Severals Castles and wineries will be on your way. But be careful because the access is sometimes complicated if you haven’t booked or anticipated going there. Most of them will ask you between 15 and 35 € per person to come in and for wine tasting. Some of them : Le Clos de Vougeot, Château de Pommard or le Château de Santenay. 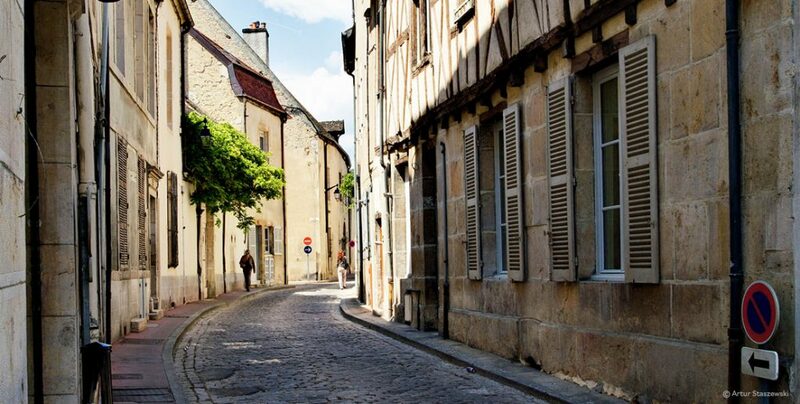 Beaune will be the tourist enviable city with Les Hospices de Beaune, La Moutarderie Fallot (Mustard-manufacture) or wineries with huge cellars. There is a big diversity on this axis Nord Sud between Djon and Beaune, where the atmosphere can soon becoming southern. The Beaunois Land edit leaflets to make its region discovered afoot and the paths are particucularly well maintained thanks to the community of the Beaunois Land. Finaly we can end with the eastern Burgundy part. The lowland of Bresse. Well known for its famous chickens, it is stuck between the Jura Mountain and the Burgundy Coast. Rivers and Saône tributary gives a peaceful atmosphere. No drops but many walks among red bricks and Bressanes Farms. An ideal place for riding bicycle because it has a pretty flat floor. The area is beginning to etablish an extended network of well signed cycle routes all along the Burgundy Canal, the Centre Canal and the Saône Canal. You should visit Citeaux’s Abbey, if only to taste its cheeses ! Hiking in Burgundy can be practiced in different ways, on half-days, days, stay in stars or in roaming. The Beaunoise area is especially nice thanks to its diversity and its numerous accomodations. For roaming hikes, it is better to get closer with an incoming agency (like ours for example) in order to have a local expertise there. Our agency is located at the beginning of the wine and hiking or cyling routes, that will offer you a large panel of activities, of course best adapted to your expectations.